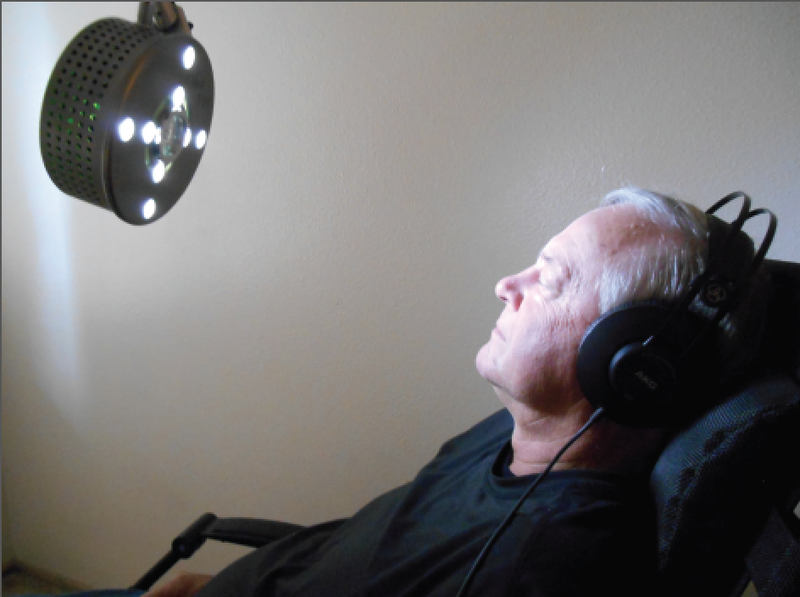 The Lucia Light N3 light was developed by a psychologist, Dr. Engelbert Winkler, and neuroscientist Dr. Dirk Proeckl in Austria. Lucia N3 is a neuro stimulator which combines stroboscopic (flickering light), flexible in both speed and intensity, with constant light, available in different degrees of brightness. The result is a unique experience of color, shapes and images created by you. The various programs allow for an impressive individualized light session that differs each time. Lucia N3 creates brain wave patterns that usually only appear after many years of meditation practice. In addition, it creates wave patterns in the EEG that would only appear in extreme conditions (such as during high performance sports, through using entheogenic (psychoactive) substances, or near-death experiences) consequent triggering the same positive effects. The experience value is one of a kind and the effects are noticeable, even after just one session. Some people claim it has helped them calm anxiety and ease depression. My personal experience was a balancing of my melatonin-serotonin relationship in just one session. A typical session begins with a one, three and five minute test to discover your light sensitivity. Then we dive deeper into longer sessions which can last from 15 to 50 minutes. The intensity and duration will depend upon how you are feeling, your intention, and your interaction with the light that day. Music is incorporated to deepen your experience. Here is little information about Mara’s Massage In case you are not familiar with her. Mara graduated from the Massage School of Santa Monica in1986. Mara obtained her certification in neuro-muscular reeducation, (a deep myofascial release technique) the following year. She then practiced massage in Los Angeles for 20 years. After taking a break and ending up in Oregon Mara was told she would have to redo her massage education and graduated from the Ashland Institute of Massage in 2014. Mara provides Swedish massage, trigger point therapy, myofascial release techniques, NMR, deep tissue, pregnancy massage, reflexology and auriculotherapy (activating points of the ears to change physiology and energy) and adds in her own flavor of energy work as well. In addition to massage school Mara graduated from the Southwest Institute of Healing arts obtaining an Associate of Occupational Studies Degree in Mind-Body Transformational Psychology. She holds additional certifications in yoga instruction, Quantum Biofeedback, Reconnective Healing and Matrix Energetics. Watch for new and exciting services to be announced in the very near future. My commitment to providing you with cutting edge technologies and information is my passion. LocalsGuide is committed to community building through the creation of positive media. We offer a monthly magazine, mobile travel guides and visitor information kiosks which offer timely and accurate local information to people just like you all around the world. Cannabis: Too Much of a Good Thing? Case Coffee + Doughnuts New Downtown Location! Inner Guide Expeditions – Get Ready For Your Summer Adventure!